Join us for a talkback with translator Héctor Garza after the performance on Thursday, July 5! Alexa Fajardo Eldridge performs as Lola on July 6 & July 8! María travels to a new continent looking for inspiration... but instead finds another woman who is identical to her. From the moment she meets her copy, she enlists the help of her best friend Lola and begins the journey to find herself. Together they follow the imposter María to the other end of the world. 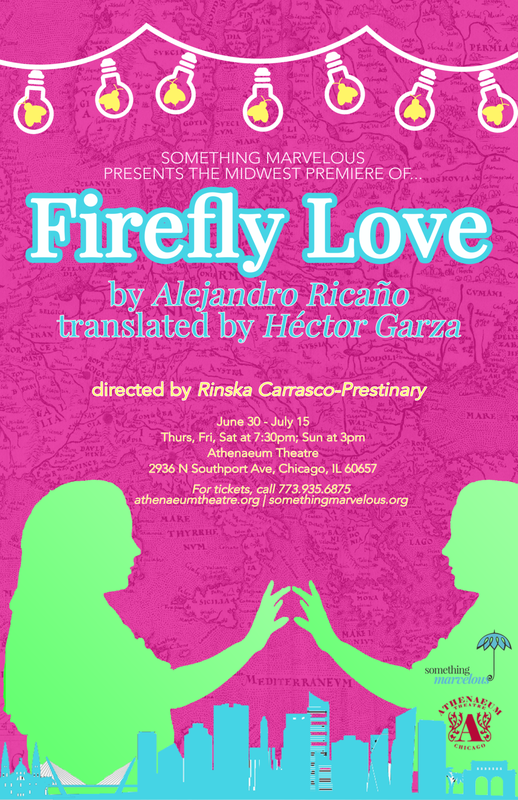 Winner of Mexico’s esteemed Premio Bellas Artes Mexicali de Dramaturgia in 2011, Firefly Love is both a full-throttle comedy and a beautiful story of self-discovery and friendship. Rinska Carrasco-Prestinary (Director) is a Dominican-American who is proud member of SAG-AFTRA, Gray Talent Group, Halcyon Theatre (Associate Artistic Director) Teatro Vista and Collaboraction. She is a Columbia College directing grad, who has worked alongside companies such as Chicago Shakespeare, Adventure Stage, Goodman Theatre, Silk Road Rising, Steep, Stage Left, among many others both on and off stage. Selected directing credits include: DE TROYA (Halcyon), THE RIVER BRIDE (Halcyon), HEAT WAVE (Steppenwolf Garage). Past selected production credits include: TAMING OF THE SHREW Assistant Director (Barbara Gaines/Chicago Shakes), ROMEO AND JULIET Directing Intern (Marti Lyons/ Chicago Shakes), FISHMEN Assistant Director/Casting Director (Goodman Theatre/Teatro Vista). Select acting credits include: ROOTS IN THE ALLEY (Adventure Stage), IN THE TIME OF BUTTERFLIES (Teatro Vista), SHE KILLS MONSTERS (Steppenwolf Garage). She has also been seen on Chicago P.D, Empire, A.P.B and CHI-IRAQ. Rinska studied under Sheldon Patinkin, Joanie Schultz, Kimberly Senior, Edward Torres, Candido Tirado, Marti Lyons, Johnny Mac, David Woolley, just to name a few. "Without this foundation of people that have staggered in my life, I would not be the artist I am today." Special thanks to my family the Prestinary-Bateman's, our fur babies (Bella and Sparky), my amazing agents over at Gray Talent, Marti Lyons/Brian Keys for being my artistic support system, my family at Halcyon, my talented actors/designers and my loving future husband James Bateman, whom without him, I am lost. And of course the biggest thanks goes to you, our community/ audience and supporters. We do this work to connect with you, to engage in conversation and open ourselves/our hearts. Cat Davis (Lighting Design) graduated from Eureka College. While she is excited to be designing her first show with Something Marvelous, she regularly designs for Mudlark Theatre in Evanston and Halycon Theatre in Albany Park. Several of her past productions include THE WILD DUCK, ESTRELLA CRUZ [THE JUNKYARD QUEEN], THE DREAM OF THE PENNY GODS. Cat received a Jeff award for her design of THE RIVER BRIDE. 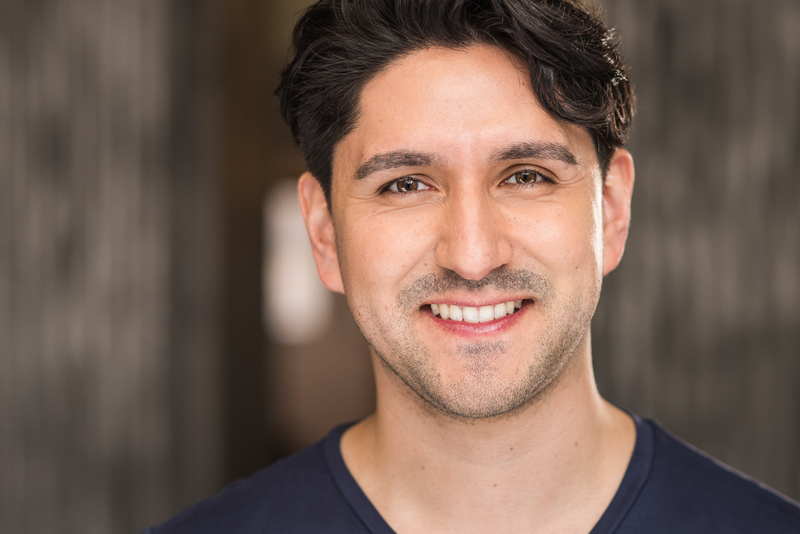 Martin Diaz-Valdes (Rómulo): Previous Chicago credits include: OTHELLO (Invictus Theatre), THE WINTER’S TALE (Honest Theatre), FORTY-TWO STORIES (City Lit Theater), and EARTHQUAKES IN LONDON (Steep Theatre). He graduated with his M.F.A. from Northern Illinois University, where he also got the opportunity to study in Russia at the Moscow Art Theatre (MXAT). He received his B.A. in Theatre Arts at the University of Oregon. Born of Chilean parents, Martin is a proud first generation immigrant. He is also a bilingual member of the Alliance of Latinx Theater Artists of Chicago (ALTA). Andrew C. Donnelly (Stage Manager & Production Manager) is a freelance stage manager who has been at the helm of over a dozen Chicago shows including world premieres, remounts, and extended runs. He earned a Bachelor of Arts from West Texas A&M University outside his hometown, Amarillo Texas. After taking Chicago by storm, he became a member of Mary-Arrchie Theatre Company where work included the THE GLASS MENAGERIE and SUPERIOR DONUTS. He has had the pleasure of working with numerous Chicago companies, recently including Circle Theatre, Hell in a Handbag Productions, and TUTA Theatre for Adam Rapp's THE EDGE OF OUR BODIES. 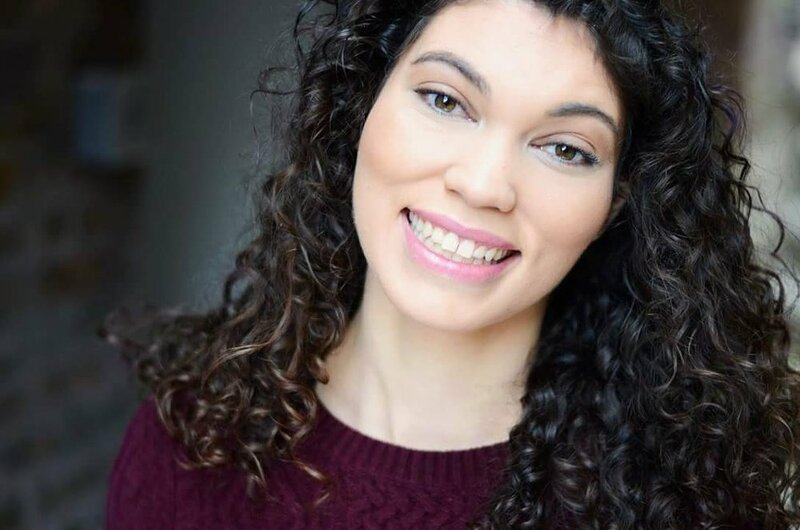 Alexa Fajardo Eldridge (Lola u/s) is a Cuban American actor and Improvisor new to the Windy City and loving every minute! 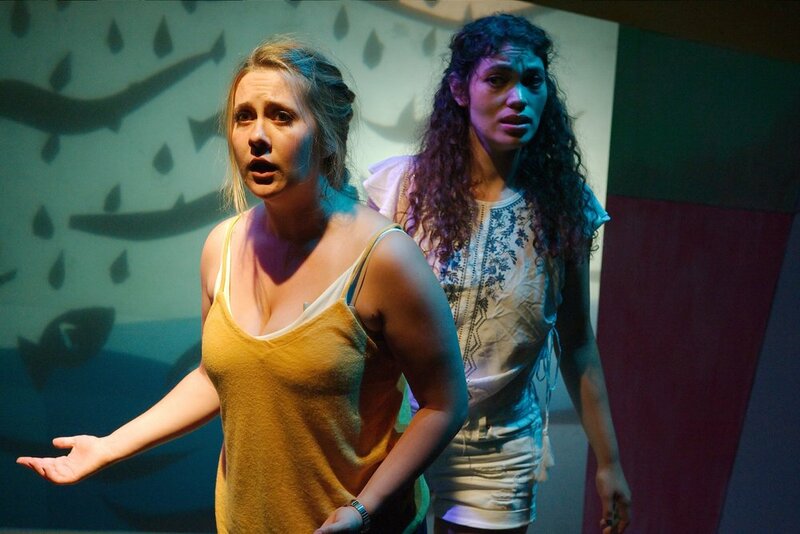 Alexa just finished a year long Acting Apprenticeship at Florida Studio Theatre in Sarasota, FL where she performed in Stephen Spotswood’s Rolling World Premiere of DOUBLEWIDE as Lorelai, and you can find her now at The Second City as a student in their prestigious conservatory program! Being a part of this powerful Lantinx ensemble has been unforgettable. Thank you for supporting this beautiful show. Héctor Garza (Translation) is a translator, director, and scholar. He is currently Program Coordinator of Drama at Palo Alto College and Artistic Director of Teatro Palo Alto. His translation of Alfonso Cárcamo’s IZAZAGA 734 was performed at the New Orleans Fringe Festival. MUERTE: A SOLO PERFORMANCE, which he wrote with Erica Ocegueda, premiered at the inaugural Portland Mini Fringe Festival. MUERTE is an ethnographic piece based on Mexican and Chicano funeral practices. He is currently working on I’M GOING TO BE ALRIGHT, MY GRANDMOTHER RUBBED AN EGG ON ME, an ethnographic piece based Mexican and Chicano healing practices. Uriel Gómez (Costume Design): Design credits include the Chicago premieres of THE MADRES, THE WOLF AT THE END OF THE BLOCK, PARACHUTE MEN(Teatro Vista); DE TROYA, THE RIVER BRIDE (Halcyon Theatre); and many more. He would like to thank his friends, and family for all their support. For more information & designs please visit ugomez.com. Víctor Maraña (Ramón & Cultural Dramaturg/Dialect Coach) is very excited to make his debut with Something Marvelous. His Chicago credits include: MY MAÑANA COMES (Victory Gardens/Teatro Vista); ELECTRA GARRIGÓ (The Right Brain Project); LUZ ESTRADA (Mercy Street Theatre); A PRAYER FOR THE SANDINISTAS (Subtext Theatre). Víctor has performed in some of the most renowned theatres in Mexico including: IRA (National Theatre); EXILIOS (National Theatre); THE DOGS (National Theatre); THE ONE WHO SAID YES (Teatro de la Ciudad). He has received national and state Best Actor Awards in Mexico for the plays HEAVEN UNDER THE SKIN (Sor Juana Inés de la Cruz); STRAWBERRY AND CHOCOLATE (Juan Ruiz de Alarcón). Víctor was trained at the Royal Academy of Dramatic Art in London and the University of the Americas in Mexico. Nicholas James Schwartz (Scenic Design & Technical Director) is happy to be a part of the team for a third season! Previous and upcoming works include: JUNETEENTH STREET (ETA Creative arts), DEFACING MICHAEL JACKSON (Flyying Elephants Productions), PIECE HER TOGETHER (Ensemble Dal Niente), ROUNDED HEADS AND PEAKED HEADS (Red Tape Theatre), GREEN BOOK (Pegasus Theatre Company), MEMPHIS (Parkland College), REVOLT (Vision Latino Theatre), SHAKESPEARE IN HOLLYWOOD, SILENT SKY, BOOK OF LIZ (Theatre of Western Springs). Nick is also the resident Scenic Designer and Technical Director at Theatre of Western Springs. Thanks to family, friends and Elyse! Allyce Carryn Torres (Lola) is an Actor, Teaching Artist, and Activist originally from San Diego. Recent credits include WHAT OF THE NIGHT at Stage Left & Cor, THE BOTTLE TREE at Stage Left, FEFU & HER FRIENDS at Halcyon Theatre, and INTO THE BEAUTIFUL NORTH at 16th Street Theatre. Her credits at Something Marvelous include DON’T LOOK and REFERENCES TO SALVADOR DALÍ MAKE ME HOT. She is the Managing Director of Windy City Performs, the Company Manager of Something Marvelous, and an ensemble member at Stage Left. Besitos to her family, Zach, Chanti, and Colin. Steph Vondell (María) is ecstatic to working with Something Marvelous for her first time. Steph was born in the North of Mexico and lived most of her life in Mexico City. Steph’s Chicago work includes; Pride Films and Plays (THE NANCE), Three Cats Productions (THE HOLIDAY RADIO SHOW), Walkabout Theatre (TALL GIRL, and BEACH PARTY), Runaways (PARTY HOUSE). Steph Is an Artistic Associate at Pop Magic. Up Next she will be in PETER PAN at the Prop Theatre this fall. She has her Bachelors degree in acting from University of Illinois at Chicago. Steph is represented by Grossman and Jack. Muchisimas gracias a todos del cast y equipo de Firefly Love es una maravillosa cuento y estoy muy agradecida que lo puedo contar con ustedes.